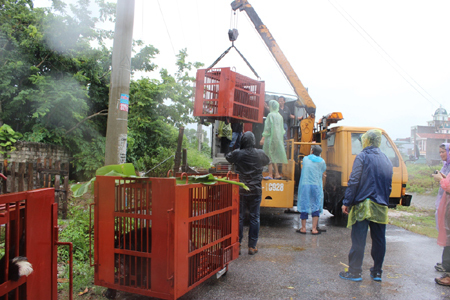 QUANG NINH (VNS) — Seven moon bears were rescued yesterday from two bear farms in the north-eastern Quang Ninh Province by Animals Asia and the provincial Forest Management Department. The bears are transported to rescue centre. 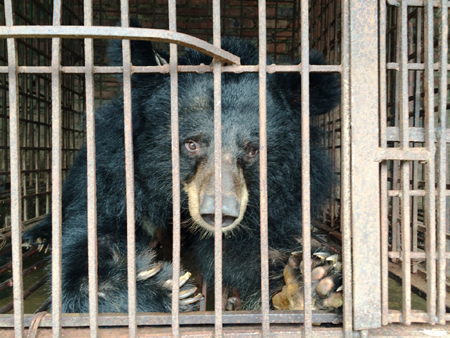 The bears had been held captive for years in small cages and had suffered painful bile extractions. The bears will join 132 bears that already live in the Viet Nam Bear Rescue Centre in Vinh Phuc Province's Tam Dao national park. 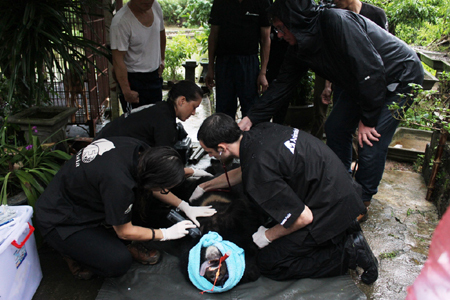 Rescuers take a check-up for a bear.